Asian food has its own flare of spicy, sweet and savory, in unique combinations that are distinctly Asian-infused, unmistakable in flavor. 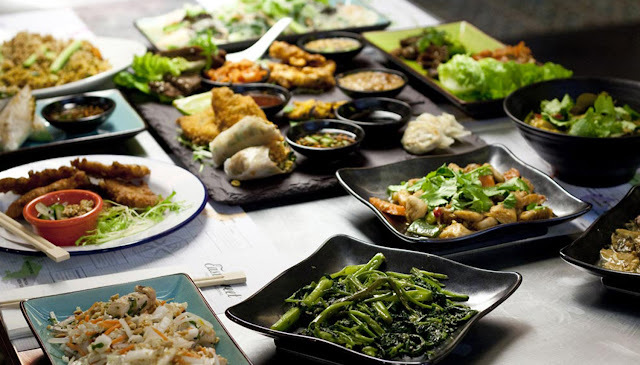 Quality Asian food is difficult to find outside of large cities or communities with Asian influence. The best way to experience Asian food in those cases, or when you want fresher and less expensive Asian cuisine than the restaurants can provide, is to make it yourself at home. It's not hard. All you need are a few of the basic ingredients and tools. Let's look first at the basic foodstuff ingredients necessary for your pantry. The dry goods are easy to buy in advance and keep around. The perishable items can be purchased a few days to right before preparing an Asian meal. Spices and liquids can be kept in the pantry or refrigerator, but you'll want to check the expiration dates to ensure they don't go bad. Dried noodles, Asian varieties, like rice noodles, silver noodles, etc. 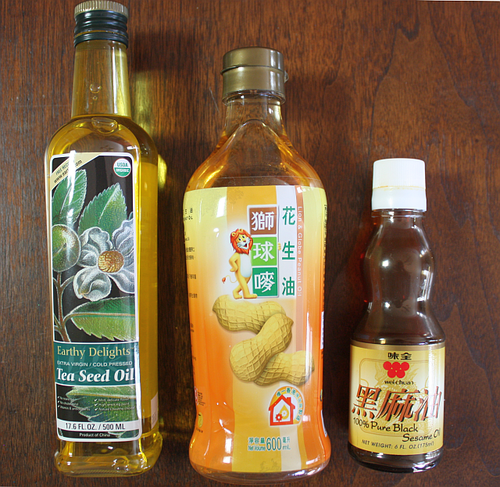 Peanut oil is probably the most commonly known Asian cooking oil, but there are also flavor-infused oils available for Asian cooking. Red pepper-infused oils are a good choice, especially for Thai dishes, and then there's garlic or ginger-infused oils and more. Experiment with different light oils, since Asian cooking is not known for being heavy and oily. The oil is just used to lightly coat the stir-fry vegetables or to keep things from sticking to the pan while cooking. Canola oil and corn oil are two other good choices for Asian cooking. Light olive oil would add a different taste to the cooking. Vegetable oil isn't the best choice for Asian cooking, but a nice fractionated coconut oil, sesame oil, or safflower oil could add a nice bite to the flavor of the dish. When it comes to cooking Asian dishes, the two most common appliances that are likely most well known are the wok and the steamer. Steamer - Whether it's a bamboo steamer, rice steamer, veggie stovetop steamer, or whatever type of steamer you choose, steaming rice and vegetables keeps the nutrition of the food while keeping the color, texture and flavor intact as well. Plus, rice is never easier to make than when using a rice steamer and vegetables will never taste so good but not lose their appearance. Wok - A wok isn't necessary for cooking Asian dishes, since a skilled Asian foods cook can mimic the cooking technique in a flat grill or pan, a wok makes certain types of Asian dishes much easier to prepare, and it makes cleanup a breeze. The wok allows food to be steamed and infused with flavor without being doused in the oils and spices. It does this because of its bowl shape, where the liquids run off to the bottom center of the wok while the foods stay up and 'stuck' to the sides, letting the flavor infuse them but not boil or fry them. Cleaning up a wok is easy work and you only use one pan. Asian cooking is easy once you get the hang of it, and you can find many Asian cuisine and other recipes to use in your now-stocked kitchen by clicking here. Happy eating.